We review Panasonic's latest travel zoom, the TZ90, with a 30x optical zoom lens, 4K video, and a tilting touch-screen. 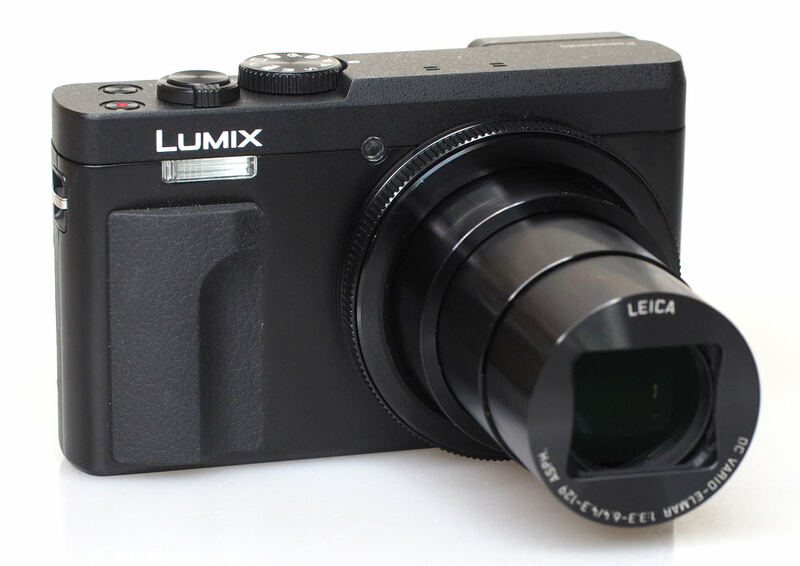 The Panasonic Lumix TZ90 (ZS70) is Panasonic's latest update to the best-selling Travel Zoom range, which has been refreshed every year since first being introduced with the TZ1 in 2006. This latest update adds a tilting screen, and a 20-megapixel sensor to the camera, which features a 30x optical zoom lens. As well as the Leica branded 30x optical zoom lens, it now offers a new 20-megapixel sensor and a tilting 3inch touch-screen. The tilting screen has resulted in a slightly larger camera size, and increased weight, compared to the TZ80. On the back, there's an electronic viewfinder (EVF) with eye-detection and dioptre correction. Macro focus lets you focus on subjects 3cm away from the front of the lens, and hybrid 5-axis image stabilisation helps keep shots and video steady in low light or when using a lot of optical zoom. The ISO range extends from ISO80 up to ISO6400, and the camera can shoot at 10fps at the full resolution of 20 megapixels. 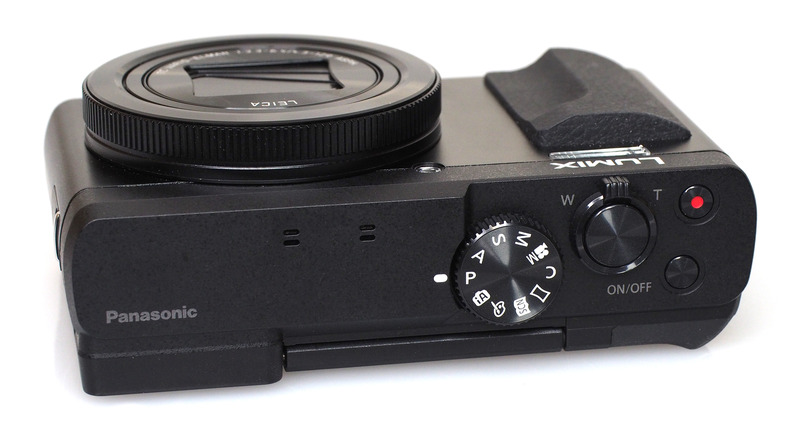 The Panasonic Lumix DMC-TZ90 is known as the ZS70 in America and some other countries. 4K video lets you record 3840x2160 (UHD) resolution video, four times the resolution of FullHD video, and the camera has stereo microphones built-in. 4K photo lets you shoot at 30fps, and then select which photos to save as 8-megapixel images. There are a number of burst modes to help you get the best out of this mode, and there's a 4K photo button on the camera to give quick access. Post focus using the 4K photo technology to let you set the focus point after taking the photo, and focus stacking will combine all images to create images with more of the photo in focus. Compared to the nearest competition, the Canon Powershot SX730 HS, the Nikon Coolpix A900 and Sony Cyber-shot HX90. With the addition of the tilting screen, the TZ90 is quite bulky now, and whilst it will fit into jeans pockets, the camera will be much happier in a jacket pocket. Of the three cameras below, it's the thickest, at just over 40mm, with the Nikon and Canon slightly under 40mm. The Panasonic features a metal front, and plastic rear and top. There's a good sized rubber grip on the front of the camera to assist in holding the camera steady. The camera feels well-built, with a solid hinge on the screen. The Fn / Function buttons can be customised, with another 2 physical Fn buttons available on the back of the camera. With the touch-screen you can setup another 5 function buttons, giving a total of 9 customisable function buttons. The electronic viewfinder (EVF) is quite small but fairly clear, with a decent resolution. When using the EVF you can use the touchscreen to move the focus position, although if you are using your left eye you need to be careful that your nose doesn't touch the screen and change the focus position. You can switch this feature off if you want. Screen quality is excellent with a gapless design, with good colour and a clear display. It's also possible to view the screen outdoors in bright sunlight. You can use the touchscreen to set the focus point, right into the very corners of the frame. Face/eye detection is particularly useful when taking photos of people, with the camera correctly focusing on the subject's eyes. Menus – The Panasonic Lumix menus are clear and well laid out with built in help to make it easier to understand what the options are for without having to look at the manual. You can also browse the menus with the touch screen and the camera is very responsive and quick when you use the touchscreen. Using Wi-Fi you can connect your smartphone to the camera, and with the Panasonic Image App which is available for Android and iOS, you can remotely control and shoot with the camera, transfer images, add geotag GPS location data to shots, record a snap movie as well as create a photo collage. When shooting using the app, you can use the touchscreen of your smartphone to set the focus point, and you can change a wide number of options and settings without having to reach for the camera. 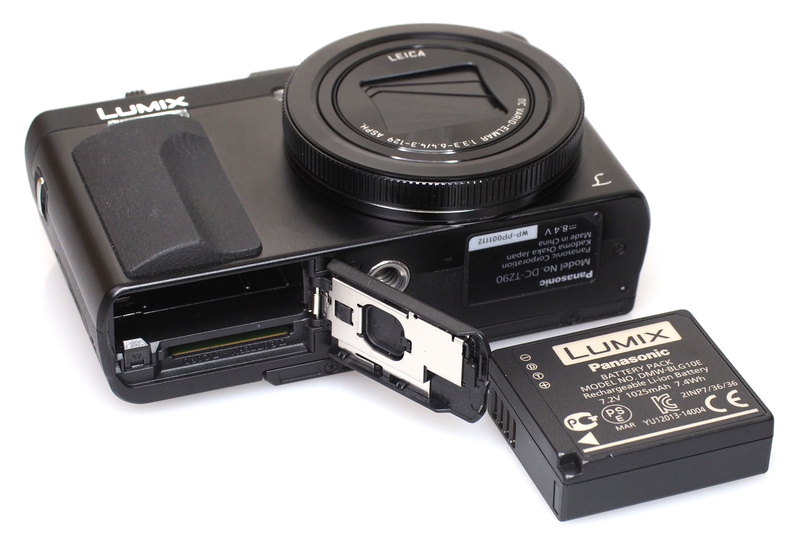 Battery life - Battery life is rated at 380 shots according to Panasonic / CIPA test results when using the rear screen, or 250 shots when using the EVF. The camera's battery can be charged using a standard MicroUSB cable, and a wall to USB charger is included in the box. The camera uses the same battery as the previous model. Hi, This question I have to get answered, because it could prove costly if I don't get it right! 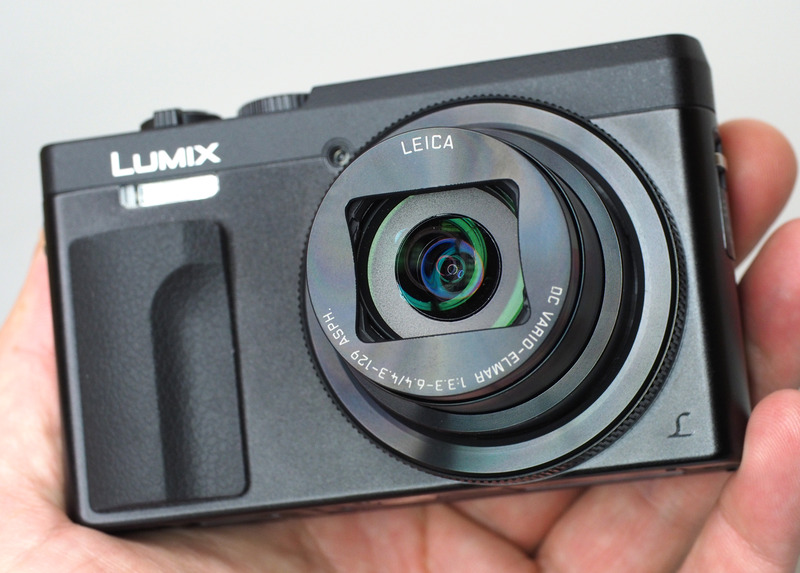 Not necessarily intended for the Panasonic Lumix DMC-TZ90, but for all compacts. 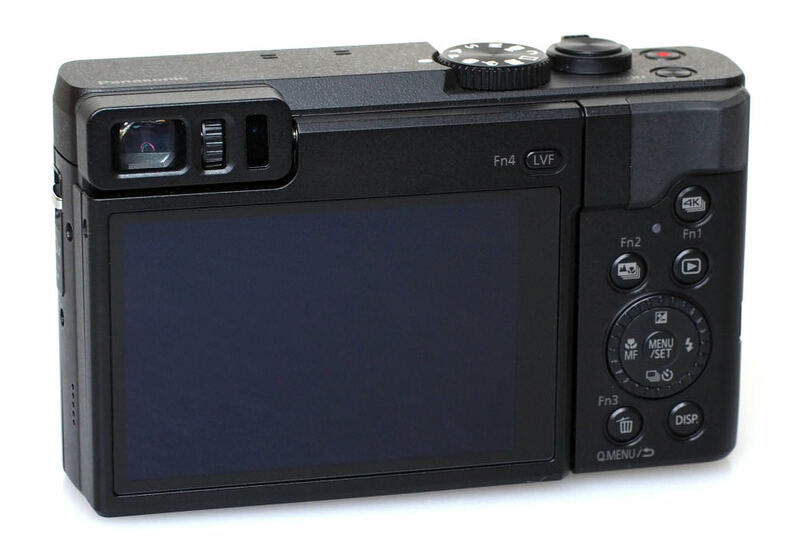 I'm looking for a compact camera, that has a fixed zoom lens, a viewfinder and a tilting (NOT articulating) LCD screen. So far my efforts to find this "Golden Fleece" have come to nothing! A lot of compact cameras have one or two of my requirements, but I haven't found one with all three up to now! Please help if you can? This question I have to get answered, because it could prove costly if I don't get it right! 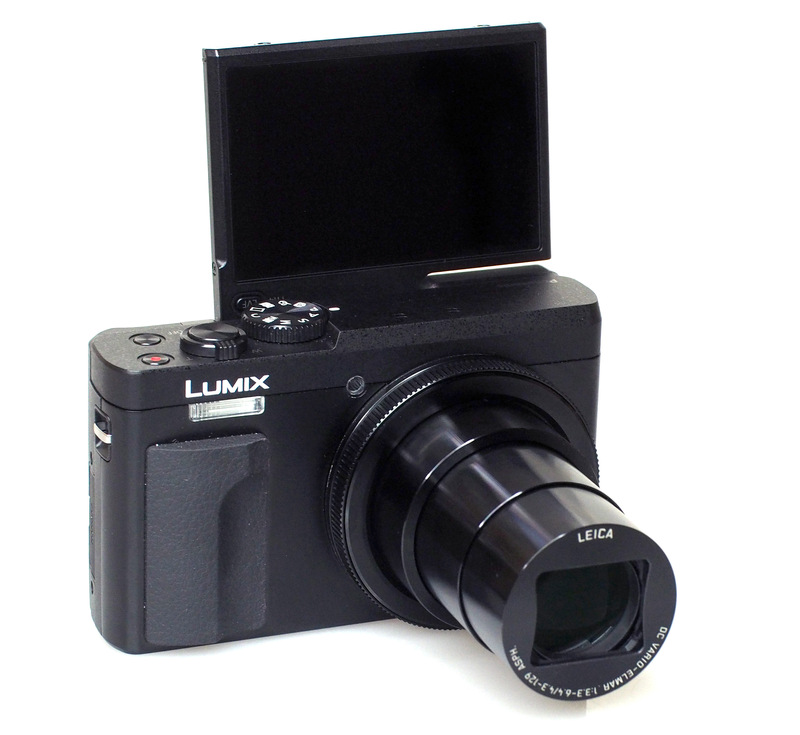 Not necessarily intended for the Panasonic Lumix DMC-TZ90, but for all compacts. I'm looking for a compact camera, that has a fixed zoom lens, a viewfinder and a tilting (NOT articulating) LCD screen. So far my efforts to find this "Golden Fleece" have come to nothing! A lot of compact cameras have one or two of my requirements, but I haven't found one with all three up to now! Please help if you can?